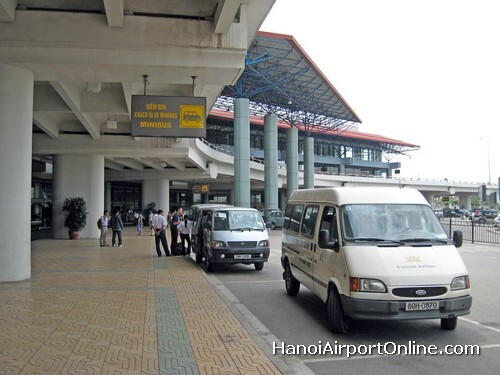 Airport Minibus offers transportation directly to your hotel or residence in Hanoi. Airport Minibus one way trip to Vietnam Airlines Office on Quang Trung in Hanoi city center costs VND 22,000 for Vietnamese or VND 32,000 (US$2) for foreigners. Fares to other destinations in Hanoi are higher (US$4). Make sure to confirm destination and fare before boarding the minibus. Minibuses leave the airport when full. Minibus to the airport depart from opposite the Vietnam Airlines Office on Quang Trung in Hanoi city center.